Ospreys scrum-half Tom Habberfield has signed a three-year deal to stay at the Liberty Stadium until 2019. Academy product Habberfield, 23, has played age-grade rugby and sevens for Wales. The Swansea region also have two international scrum-halves in Wales' Rhys Webb and New Zealander Brendan Leonard. "I'm really enjoying my rugby and I'm fortunate to get a lot of game time this season so far," said Habberfield. "When you look at the other nines in the squad, with Brendon playing well and Rhys Webb back at the weekend, it makes you realise the standard I have to hit consistently every week if I want to stay around the match day 23." 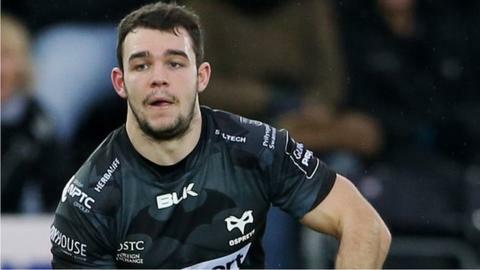 Habberfield started his career with Bridgend Athletic and has played 67 times for the Ospreys since making his debut in the 2011-12 season.